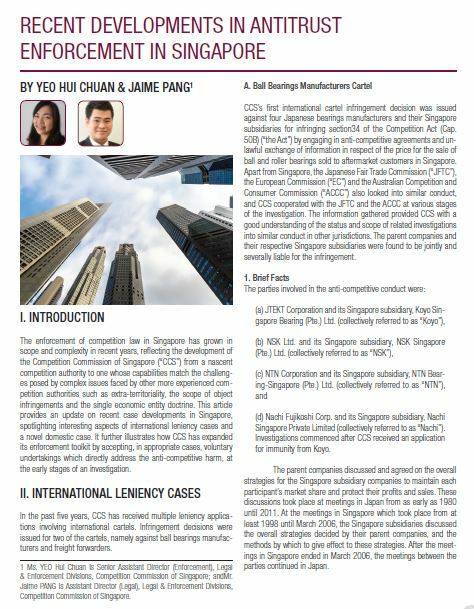 This article, published by CPI in October 2016, provides an update on recent case developments in Singapore, spotlighting interesting aspects of international leniency cases and a novel domestic case. 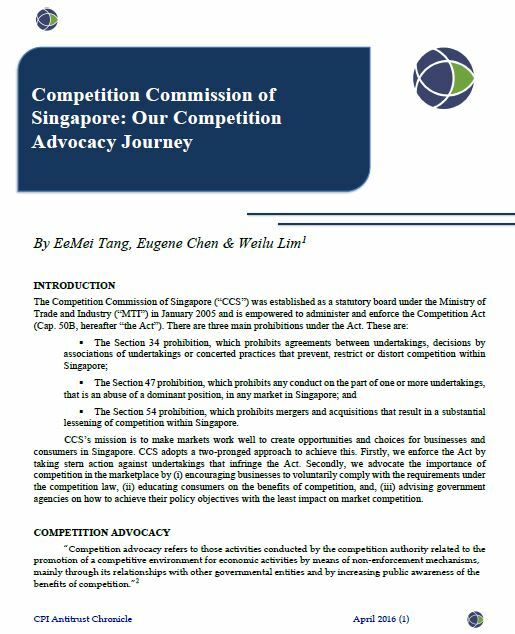 Even with a decade of advocacy experience under its belt, CCCS continues to face challenges moving forward. One of the key challenges is keeping pace with technological advancements and the disruptive changes they bring about in the market.